Known Relatives: Wife (deceased), Lee aka Apollo (son), Zak (son, deceased). 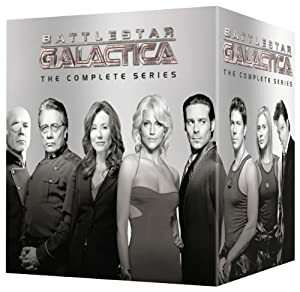 Base Of Operations: Battlestar Galactica. Height: 6’ 2” Weight: 190 lbs. Cmdr Adama is a highly experienced military commander with a personality that fills any room. Adama runs the military organization of the fleet and the Galactica itself. More importantly he manages to give hope to a people who have just about run out. Adama has been a Colonial officer and Merchant Marine for decades. He is a competent pilot and a trained fighter,but has slowed down a lot as he has gotten older. William Adama started out his career as a VIPER pilot. In his day, he made a name for himself as a hot-shot pilot. About 25 years ago, he and many others (including Saul Tigh) were mustered out of the Fleet. This may have been due to an extended period of peace. There was an interim period where he was a merchant marine, but he always wanted to return to the Colonial fleet. Adama eventually regained this post through the political connections of his wife. Cmdr Adama insisted that his sons become pilots as well, perhaps too much. His Younger son, Zak, was killed in a flight accident. This resulted in animosity between Starbuck (his flight trainer and girlfriend), Lee (his brother) and William (his father). The three barely spoke for years, and most of this tension wasn’t resolved until after the apocalypse. Adama was a case of the right man in the right place at the right time when the Cylons struck. The combination of his military skill, competent people, an antiquated Battlestar, and a mistrust for cutting-edge tech kept nearly 50,000 people alive when worlds died in atomic fire and the Fleet was destroyed. After the fall of mankind, Adama became the hope and hero of those who remained. Although he fought with the civilian government at times he became a symbol of the fact that there was a chance at hope, at a life beyond running. 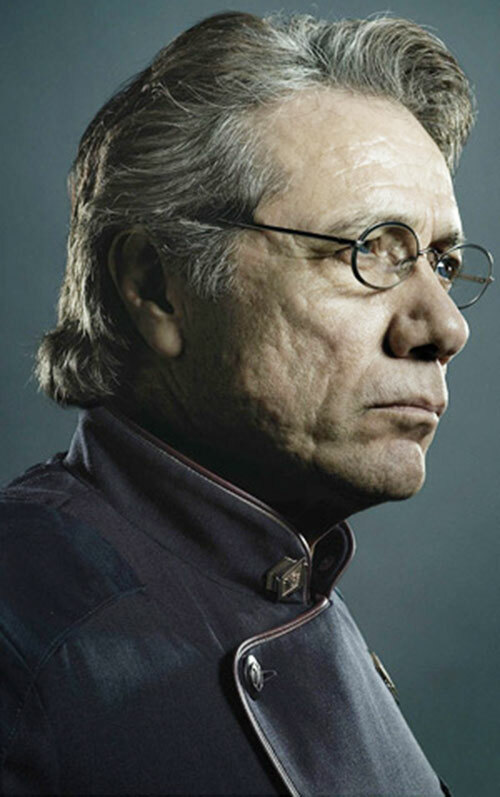 William Adama is a craggy-faced gray haired man of immense gravity. Even when out of uniform his military bearing is evident. Adama is adept at making a silence speak volumes. 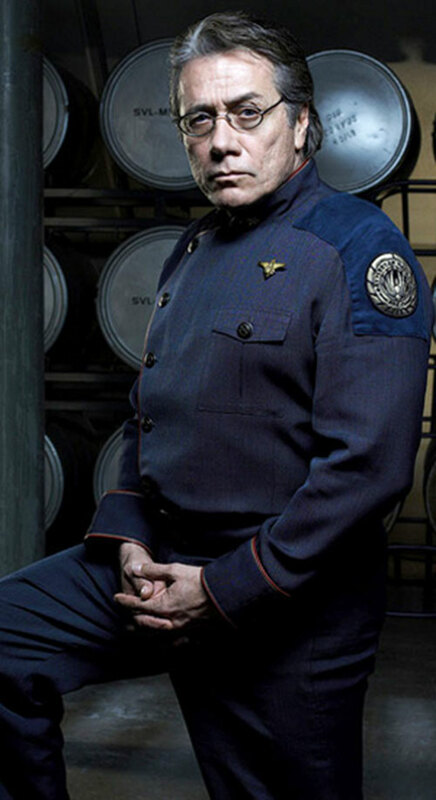 William Adama is the soul of the Galactica. His shoulders have always been wide enough, although sometimes barely, to hold the problems of the world. He is a man of quiet wisdom who has at times been moved to rage. He can order men to their deaths when required, but never with ease. He can beat a man to death with a flashlight if that’s what he needs to do. He is a complex man and a hardened warrior spirit. Dex: 03 Str: 02 Bod: 04 Motivation: Responsibility of Power. Credentials (Galactica and the fleet), Popularity, Scholar (Fleet Tactics). Starbuck (High); Capt Apollo (Low); President Laura Roslin (Low). Age (old), Dark Secret (harboring a Cylon), Dark secret (Earth is a myth).